While driving, it may be tempting to look at your phone when you hear it ring, but no text, app check or phone call is so important that it cannot wait. That’s the message this April, Distracted Driving Awareness Month. Distracted driving is anything that takes your eyes or mind off the road, or your hands off the steering wheel – especially when it comes to texting, using apps and talking on your cell phone. These are some of the most dangerous things that people can do behind the wheel because attention is taken away from the focus of driving. The California Office of Traffic Safety wants to remind everyone that under the new distracted driving law that took effect January 1, holding a cell phone in your hand while driving is illegal and you will be cited. Turn off your cell phone and put it out of sight before you get behind the wheel. Do not program your GPS or MP3 player or other devices while driving – set your route and your music playlist before you start driving. If you need to change your GPS, pull over to a safe parking spot. Do not eat or drink while driving – try to eat before or after you get to your destination. Eating and drinking can be just as dangerous as trying to use your cell phone. Do not groom, read or try to watch videos – driving should be your only focus, arrive safe and alive. Finally, if something falls to the floor or is out of reach, pull over to a safe parking spot before trying to reach it. For more information on Distracted Driving and Distracted Driving Awareness Month, please visit: www.ots.ca.gov For details on the new law, visit http://www.ots.ca.gov/Media_and_Research/Press_Room/2017/docs/CaCellPhoneLawAB1785.pdf. The California Office of Traffic Safety wants to remind everyone that distracted driving is a choice, so make good decisions to help keep our roads safe for everyone! The big holiday season is over but February has just as many reasons to celebrate. In 2015, 70 people lost their lives while over 1,200 were injured in alcohol and drug-related crashes in California during the month of February. Events like Super Bowl and Mardi Gras often involve alcohol and drugs, so the Office of Traffic Safety (OTS) reminds everyone to be mindful of the dangers of drunk and drugged driving. The OTS offers reminders for party hosts: make sure all your guests designate a sober driver in advance; serve plenty of food and non-alcoholic beverages; if a guest has had too much to drink or is too high, arrange a sober ride home or offer your place for the night. Tips for party goers include: before the party begins, designate a sober driver to get you home safely; if you don’t have a designated driver, ask a sober friend for a ride home or call Uber, Lyft or a taxi. For delicious, non-alcoholic Designated Driver Drinks visit www.facebook.com/CaliforniaOTS under the Mixology Center tab. For additional information, visit www.ots.ca.gov. The California Office of Traffic Safety wants everyone to have fun and be safe during these many upcoming celebrations! Whether you’re Snapchatting, scrolling through Instagram, or sending a text while on the road, it’s clear that cell phones have become a top distraction for drivers – often causing traffic collisions on the road. A study conducted last spring by the California Office of Traffic Safety (OTS), showed that at least 13 percent of the state’s drivers were either seen talking, texting or using a cell phone in some manner. This number has increased from nine percent in 2015. To combat distracted driving, Assembly Bill 1785, signed by Gov. Jerry Brown last September, takes effect on Jan. 1, 2017. The new law expands California’s restrictions on the use of mobile phones behind the wheel. Drivers will no longer be able to operate any handheld wireless telephones or any electronic devices unless the device is specifically designed to allow voice-operated and hands-free operation, and must be used in that manner while driving. Listen to—don’t watch—GPS devices and make sure to input your destination before leaving or stop to change your route if necessary. If a call or text absolutely can’t wait, pull over into a parking spot and conduct your call safely. Never: talk, text, email or use any apps on any handheld electronic device while driving. Better yet, turn off your phone and place it out of reach as soon as you get in the car. High visibility ‘zero tolerance’ enforcement operations are being conducted by law enforcement agencies across the state. Drivers caught talking or texting on a mobile device or other handheld devices will be ticketed. A first offense ticket costs a minimum of $160, and up to $285 for each subsequent offense. To avoid the traffic fines, car crashes and life-threatening consequences that are associated with driving while distracted, eliminate your distractions when behind the wheel. For more information regarding distracted driving facts, please visit www.ots.ca.gov. The holiday season is nearing and the celebrations are soon to begin. Though most are focused on enjoying the festivities with friends and loved ones, it is important to recognize the dangers of driving that are often associated with the holiday season. Alcohol can be found at most holiday parties and gatherings, so it is no surprise that the month of December equates to an increased number of DUI offenses and drunk driving crashes. In fact, over the month of December 2013, a staggering 733 people lost their lives across the nation in crashes involving a drunk driver, including 98 killed and over 1,800 injured in California alone. Plan ahead, designate a sober driver. If you plan to consume alcohol during your holiday festivities, make it a point to designate a sober driver ahead of time. Waiting until you’ve been drinking to make this decision increases your chances of poor judgment, resulting in a greater risk of severe, and potentially deadly, consequences. Help others be responsible. If someone you know is drinking, do not let that person get behind the wheel. Become the designated driver or help call a taxi, sober friend or family member for that person to get home safely. Law enforcement will be out in full force. The annual DUI crackdown period will take place from Dec. 18- Jan. 3, with increased numbers of law enforcement actively on the lookout for those who are driving impaired. The average first time DUI costs $10,000. Spending a small amount on a safe ride home is by far the most logical – and economical – choice. Visit the OTS Facebook page at www.facebook.com/CaliforniaOTS and look for the DD Mixology Center in the Photos section for non-alcoholic drink recipes created specifically for Designated Drivers. Developed by popular food and drink establishments throughout California, these “DDrinks” (Designated Driver Drinks) are perfect for any holiday gatherings. Party hosts are encouraged to check out these simple recipes, giving sober drivers a fun way to take part in the festivities, too. The California Office of Traffic Safety wishes you a safe and happy holiday season! On behalf of the California Office of Traffic Safety: California has already seen a bit of wet weather and soon it will be here in full force. The Thanksgiving holiday travel season is starting back up and that means trouble on the roadways for those who don’t plan ahead. The California Office of Traffic Safety is reminding motorists to plan ahead and take extra safety measures before embarking on your holiday journey. Take time to prepare. Make sure your brakes, windshield wipers, defroster, anti-freeze, heater and exhaust system are in top condition. Always check your tires before driving. Make sure they are properly inflated and the tread is in good condition. Minimize distractions. This may mean turning off your cell phone and/or putting it out of reach. Include in your outgoing message that you can’t answer while you are driving. Don’t call or text anyone at a time when you think they may be driving. If it’s raining, keep your vehicle toward the middle lanes since water tends to pool in outside lanes. Do not brake or turn suddenly. If you need to brake, do so gently with light pumping action. By planning ahead and following these tips, you can ensure that your Thanksgiving holiday is a safe one. Join us on Twitter at @OTS_CA or “like” us at www.facebook.com/CaliforniaOTS and keep up with the latest traffic safety information. For more information on all OTS efforts, visit www.OTS.ca.gov. With ever increasing demands on our personal and professional time in today's busy society, learning to juggle multiple tasks at once is something we all face daily. As a result, a new traffic safety epidemic has emerged on America's roadways that demands immediate attention: distracted driving. In 2009 alone, nearly 5,500 people were killed and a half million more were injured in distracted driving crashes. One of the most alarming and widespread forms of distracted driving is cell phone usage. According to a Carnegie Mellon study, driving while using a cell phone reduces the amount of brain activity associated with driving by 37 percent. And a report from the National Safety Council found that more than one out of every four traffic accidents is caused by people talking on cell phones or sending text messages. "Distracted driving is an epidemic on America's roadways, and we're doing our part to help put an end to it," said U.S. Secretary of Transportation Ray LaHood. "Texting and cell phone use while driving is extremely dangerous, and we know simply getting drivers to turn their phones off when they get behind the wheel will make our roads significantly safer." Text messaging is of heightened concern because it combines three types of distraction -- visual, manual and cognitive. In other words, texting involves taking your eyes off the road, your hands off the wheel, and your mind off the task of driving. To tackle this ever increasing problem, NHTSA is focusing on ways to change the behavior of drivers through legislation, enforcement, public awareness and education, the same tactics that have curbed drinking and driving and increased seat belt use. "Decades of experience with drunk driving and getting people to buckle up has taught us it takes a consistent combination of public education, effective enforcement, a committed judiciary, and the collective efforts of local, state, and national advocates to put a dent in the problem," said LaHood. NHTSA's message is simple: "One Text or Call Could Wreck it All." With supporters ranging from President Obama to Oprah and legislation being passed across the nation to discourage distracted driving, we hope drivers get the message loud and clear. So the next time you are pressed for time, and it seems like multitasking in the car is the best decision, remember those 5,500 lives that were taken because someone decided they could do two things at once. A text or call is not worth your life, or anyone else's. How does your New Jersey Online Defensive Driving Course work? Register for the course. Start by selecting New Jersey from the list. Then enter your name, mailing address, etc. Certificate delivery. Upon successful completion for the course, we will notify the New Jersey MVC for your two point reduction. For your insurance discount, your Completion Certificate will be available for download as a PDF for you to email or mail to your insurance agent. It's that easy! May is Motorcycle Safety Awareness month. Motorists traveling our roadways are reminded to be alert to the nearly 160,000 motorcycles that share the road with each of us. WE NOW HAVE 12 REVIEWS ON YELP! Just a quick note to point readers to our yelp page, which has 12 very positive reviews of our online traffic school for California. Justin Bieber recently launched a campaign against texting while driving. We applaud Bieber's efforts as texting while driving is highly dangerous to both the driver and to innocent people. Please, keep your eyes on the road and your hands on the wheel at all times. "As a 17-year-old driver, I am aware of the countless distractions that we teenagers face on the road, and texting is one that is preventable," Justin Bieber says. Defensive Drivers Group online traffic school is now ready for Apple iPad and iPhone, as wells Android tablet computers and phones. Now you can get your California traffic school certificate by using your iPad and Android tablets or your favorite smartphone. For more information about Red Light Cameras in San Francisco, CA go here. And if you got a Red Light Camera speeding ticket in San Francisco, Ca, you can take online traffic school by signing up here. TEEN DRIVERS, the California DMV has prepared 10 driving videos to help prepare you for your California Learners Permit or California Drivers License tests. Watch these DMV videos to get tips on how to pass your driving test the first time--and get your CA drivers license. For extra help, take the CA DMV Teen Driving Course by award-winning educators iDriveSafely.com. Sign up now to avoid delay getting your CA drivers license. Fill gas tank during cooler evening hours to cut down on evaporation. Get more tips for your home and car in our Air Quality section. How's the air where you live? Check our Air Quality forecasts. Sources: U.S. Environmental Protection Agency, National Weather Service, National Highway Traffic Safety Administration, Federal Citizen Information Center, Washington State SAFE KIDS Coalition. Online Traffic School in Napa County California! American Canyon online traffic school, Calistoga online traffic school, Napa online traffic school, St. Helena online traffic school, Yountville online traffic school. Also for: Aetna Springs online traffic school, Angwin online traffic school, Berryessa Highlands online traffic school, Capell Valley online traffic school, Chiles Valley online traffic school, Circle Oaks online traffic school, Deer Park online traffic school, Dry Creek online traffic school, Gordon Valley online traffic school, Lokoya online traffic school, Los Carneros, Monticello online traffic school, Moskowite Corner online traffic school, Mt. Veeder online traffic school, Oakville online traffic school, Pope Valley online traffic school, Rutherford online traffic school, Soda Canyon online traffic school, Spanish Flat online traffic school, Vichy Springs. Contra Costa Online Traffic School Now Open in All Cities! El Cerrito online traffic school, Hercules online traffic school, Pinole online traffic school, Richmond online traffic school, San Pablo online traffic school, Bayview-Montalvin online traffic school, Crockett online traffic school, East Richmond Heights online traffic school, El Sobrante online traffic school, Kensington online traffic school, North Richmond online traffic school, Port Costa online traffic school, Rodeo online traffic school, Rollingwood online traffic school, Tara Hills online traffic school, Clayton online traffic school, Concord online traffic school, Danville online traffic school, Lafayette online traffic school, Martinez online traffic school, Moraga online traffic school, Orinda online traffic school, Pleasant Hill online traffic school, San Ramon online traffic school, Walnut Creek online traffic school, Alamo online traffic school, Blackhawk-Camino Tassajara online traffic school, Canyon online traffic school, Clyde online traffic school, Diablo online traffic school, Mountain View online traffic school, Pacheco online traffic school, Vine Hill online traffic school, Waldon online traffic school, Antioch online traffic school, Brentwood online traffic school, Oakley online traffic school, Pittsburg online traffic school, Bay Point online traffic school, Bethel Island online traffic school, Byron online traffic school, Discovery Bay online traffic school, Knightsen online traffic school. Ventura Online Traffic School. CA DMV Approved Traffic School. Our online traffic school is now approved in Ventura County California! Sign up today for fast traffic school certificates. Do your lessons right from home or work. Oxnard online traffic school, thousand oaks online traffic school, simi valley online traffic school, Ventura online traffic school, Camarillo online traffic school, Moorpark online traffic school, Santa Paula online traffic school, Port Hueneme online traffic school, Fillmore online traffic school, Ojai online traffic school. Start today! Online Traffic School Walnut Creek, CA Now Open! 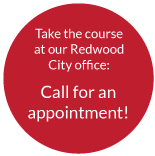 Our online traffic school is now approved in Walnut Creek, CA in Contra Costa County! Sign up today for fast traffic school certificates. Do your lessons right from home or work. Start today! Flash flooding: When driving, know the depth of water in a dip before crossing. Be aware that the road bed may not be intact under the water. If the vehicle stalls, abandon it immediately; seek higher ground. Rapidly rising water may engulf the vehicle and its occupants and sweep them away. Tornadoes: Leave your vehicle, and go to a substantial shelter. If there is no shelter nearby, lie flat in the nearest ditch, ravine, or culvert with your hands shielding your head. Be alert for rapidly rising waters in the ditch. Online Traffic School Chico, CA Now Open! We are now accepting traffic school students in Chico in Butte County, CA for home study online traffic school! It costs just and lesson 1 takes just minutes. Start today! Online Traffic School San Francisco, CA Now Open! We are now accepting traffic school students in San Francisco County, CA for home study online traffic school! It costs just and lesson 1 takes just minutes. Start today! If you have anti-lock brakes (ABS), do not pump the brakes. Apply steady pressure to the brakes. You will feel the brakes pulse Ñ this is normal. Try rocking the vehicle. (Check your owner's manual first Ñ it can damage the transmission on some vehicles.) Shift from forward to reverse, and back again. Each time you're in gear, give a light touch on the gas until the vehicle gets going. online traffic school in San Bernardino, CA. Home study online traffic school! Start today! A common cause of breakdowns is overheating, especially during summertime. If your car overheats, or if you are doing regular maintenance at home, never remove the radiator cap until the engine has thoroughly cooled. A professional should check the tightness and condition of drive belts, clamps, and hoses. Sources: U.S. Environmental Protection Agency, National Weather Service, National Highway Traffic Safety Administration, Federal Citizen Information Center, Washington State SAFE KIDS Coalition. Online Traffic School Riverside, CA Now Open! We are now accepting traffic school students in Riverside County, CA for home study online traffic school! It costs just and lesson 1 takes just minutes. Banning online traffic school, Beaumont online traffic school, Blythe online traffic school, Calimesa online traffic school, Canyon Lake online traffic school, Cathederal City online traffic school, Coachella online traffic school, Corona online traffic school, Desert Hot Springs online traffic school, Eastvale online traffic school, Hemet online traffic school, Indian Wells online traffic school, Indio online traffic school, Jurupa Valley online traffic school, Lake Elsinor online traffic school, La Quinta online traffic school, Menifee online traffic school, Moreno Valley online traffic school, Murrietta online traffic school, Norco online traffic school, Palm Desert online traffic school, Palm Spring online traffic school, Perris online traffic school, Rancho Mirage online traffic school, Riverside online traffic school, San Jacinto online traffic school, Temecula online traffic school, Wildomar online traffic school. Start today! Reviewed by Eric S, San Francisco, CA on March 22, 2013 . Description: I picked this California online traffic school because of the positive reviews on Yelp for San Francisco. I called them on Sunday to ask some questions and they answered my call - on a Sunday! My traffic school due date was Monday and I got it all done in time.